Thank you to Lindsay for sponsoring this post! A special thanks to Lindsay Olives for sponsoring this post! 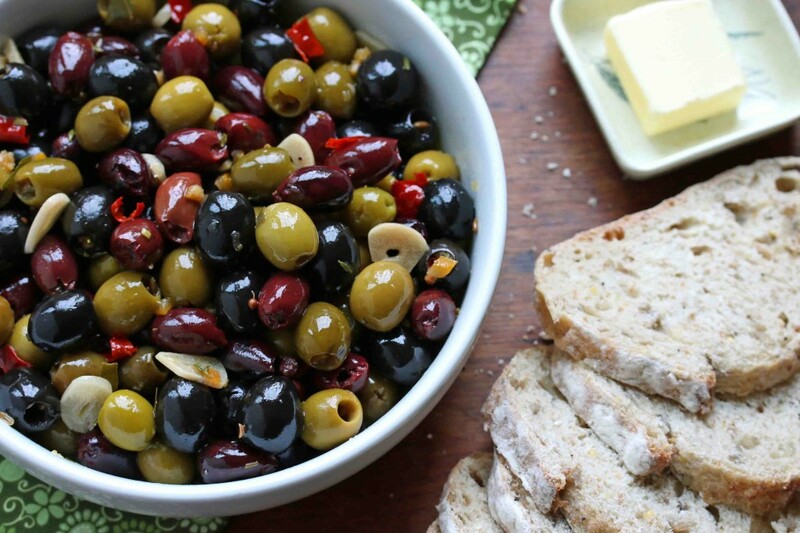 These homemade marinated olives are a real show-stopper. Plump, juicy, and packed full of flavor, they’re perfect for entertaining, snacking, including at the dinner table or giving away as an thoughtful, classy gift. I don’t know when or how it started, but olives are almost always present for any family dinners involving my parents. Any time my parents come over for dinner my dad always brings a jar of olives. It’s almost mechanical: Dad walks in the door, is buried by the grandkids, reaches in his bag, pulls out the olives and hands them to me, I empty them into a small serving bowl and put them on the dinner table. And we have olives for dinner regardless of what’s being served. As far as my dad is concerned, no dinner is complete without them. And should he forget to bring them, the predictable comment that follows: “Oh nuts, I forgot the olives!” And occasionally there’s the antiquated expletive “cockeyed!” sprinkled in there, too. My dad’s pretty serious about his olives. This tradition in recent years has extended to olives as gifts. If we’re traveling somewhere my husband and I will often pick up some gourmet marinated olives to bring back for my dad. And so it finally hit me this year, why not make my own? I got excited at thought of having several jars of different flavored marinated olives, proudly stashed in our pantry, to get out for those family dinners, present to my dad as a “thank you” for babysitting our kids on date night, and for giving away to friends as gifts. And speaking of gifts, did I mention they make the perfect gift? Whether from A Christmas Carol, It’s a Wonderful Life, or any other such heart-warming classic, we’ve all grown up with the sentiment that giving is more rewarding than receiving. And that’s especially true when the gift is from the heart, when it involves a little more than going to the store, laying down some money, and tossing an item in the shopping bag to take home. Not that we don’t appreciate gifts like that (we do, we do! ), but most of us have experienced how nice it is to receive a simple gift that was thoughtfully prepared by the giver. The time and effort that goes into making the gift speaks love and thoughtfulness more than money handed to a cashier. At least it does to me. And so whatever other store-bought gifts I may be giving to the friends and family, I always like to include something homemade. And doesn’t everyone enjoy good food? Here is a visually beautiful, deliciously tasty, and elegant gift you can easily put together for your friends, family, co-workers or neighbors. Gourmet marinated olives come with a hefty price tag in specialty stores or at the deli, but these you can make for a fraction of the cost and they taste simply divine. And I can’t think of anything more classy to give than a jar of beautifully vibrant, plump marinated olives, can you? Olives are gourmet, healthy, they taste amazing, and your friends will think you’re a person of impeccable taste and class. You’ll enjoy the response you get as you give these delightful olives to the people you care about. And you’ll love the feeling of personal fulfillment that you’ll experience. 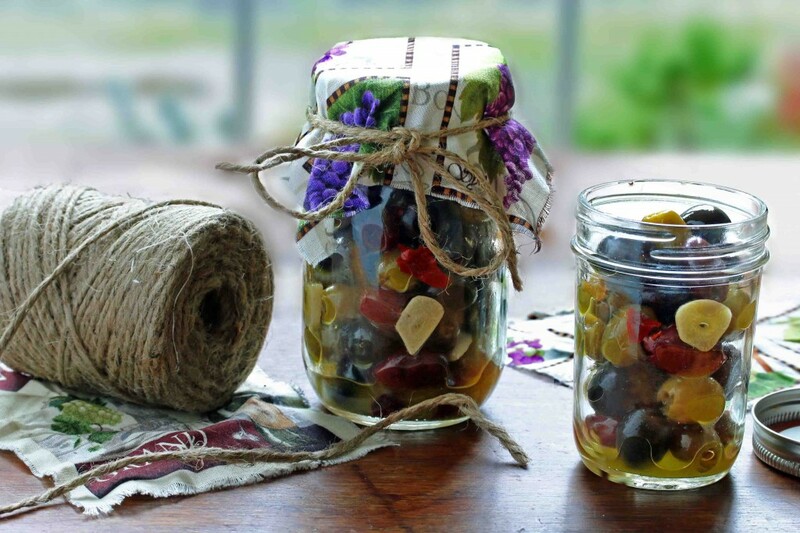 Just spoon some olives into canning jars, screw on the lids, and for a little added homemade touch cover the lids with a square of material and tie with some twine. For whatever purpose you make these olives, they’ll be a guaranteed hit. Just be sure to make them in advance because they need to sit for a week before you use them in order to enjoy optimal flavor. The longer they sit the better they’ll taste! Joining us today are a variety of luscious California-grown Lindsay Olives. We’re going to use a combination of Lindsay’s green, black and kalamata olives for a nice array of color and flavor. SWEEPSTAKES TIME! Win 1 of 4 $500 Visa Gift Cards and other prizes! What makes your holiday moments special? Starting today and running through 12/22 Lindsay is hosting a special holiday sweepstakes opportunity. Tell us what makes your holiday moments special and you’ll be entered to win $500 and other prizes! There will be multiple winners! Simply Tweet or Instagram what makes the moment for you and use the hashtag #LindsayMoment to be entered in the contest. Now for the recipe – Let’s get started! Drain the olives. 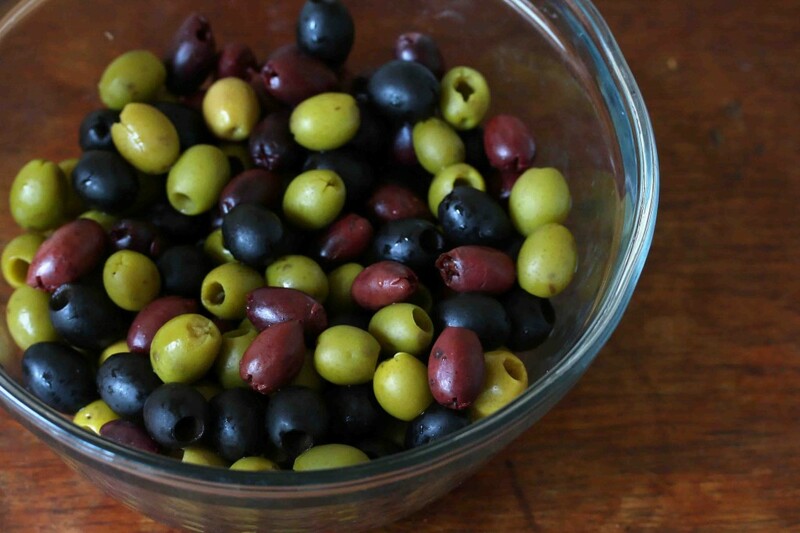 You’ll want to give the black olives a rinse so their juices don’t discolor the other olives. 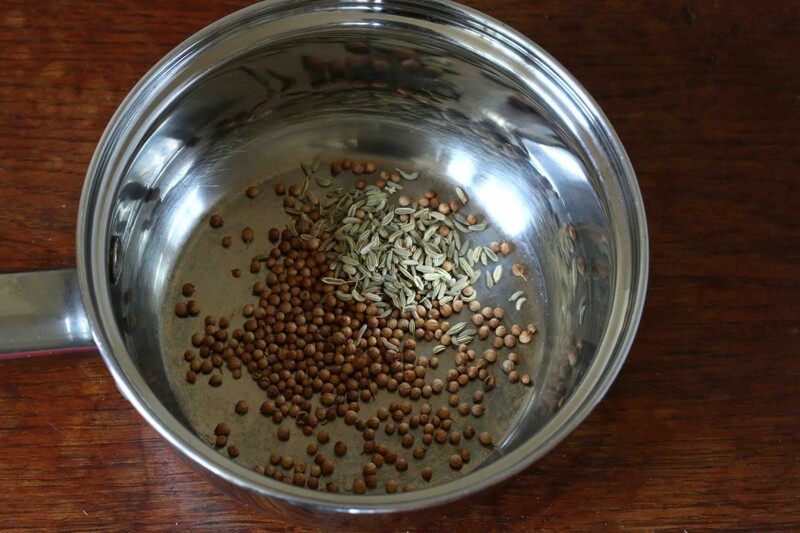 You can really use any herbs and seasonings of your choice. This time we’re going to use fresh thyme, rosemary, coriander and fennel seeds, bay leaves, garlic, a little dried red chili for some spiciness, extra virgin olive oil and those wonderful preserved lemons. Be sure to use good quality extra virgin olive oil as the flavor will greatly impact the outcome of the marinated olives. To bring out the flavor of the coriander and fennel, we’re going to roast them. First give them a quick smash in a ziplock bag just to crack them open. 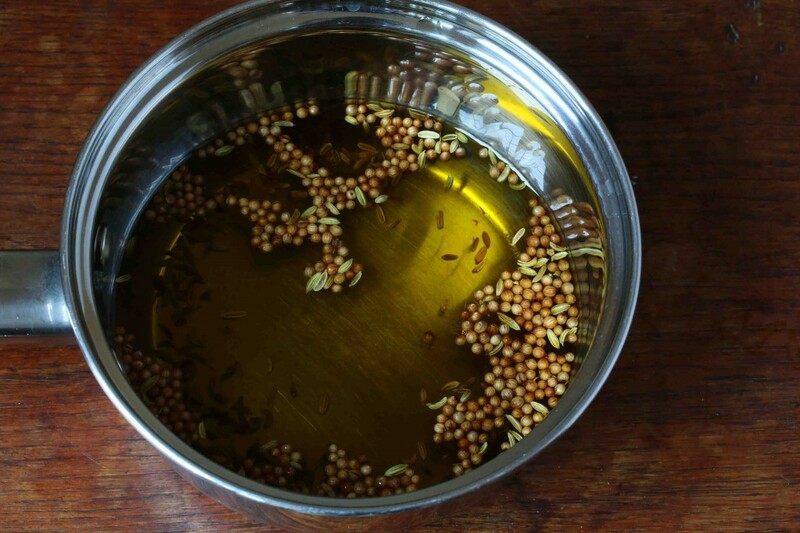 Heat a small, dry pan over medium-high heat and, once hot, add the coriander and fennel seeds. Roast until fragrant, about 2-3 minutes, shaking pan frequently towards the end. Be careful not to scorch them. Pour in the olive oil and let it heat up for just a minute then remove from the heat. Add all the remaining ingredients and let the mixture sit for a few minutes until cooled down. NOTE: Unless you like super spicy food, be very careful how much dried red chili you add. A little goes a very long way and the spiciness only increases over time. Omit entirely if you don’t like heat. Pour the marinade over the olives and stir to combine. Cover and let sit in the fridge for at least a week before eating them. The longer they sit, the better they’ll taste. You can also go ahead and divide the olives into gift jars first and then store them in the fridge until ready to give away. The olives will keep in the refrigerator for at least a month. Give them a little shake every now and then. Bring to room temperature before serving. Enjoy! And don’t forget to share the love and give some olives away! Rinse the black olives so their juices don't discolor the other olives. Drain all the other olives in a colander, place them in a large bowl and set aside. Heat a small dry pan over medium-high heat and, once hot, add the coriander and fennel seeds. Roast until very fragrant, about 2-3 minutes, shaking the pan occasionally. Be careful not to scorch them. Add the olive oil and heat for a minute. 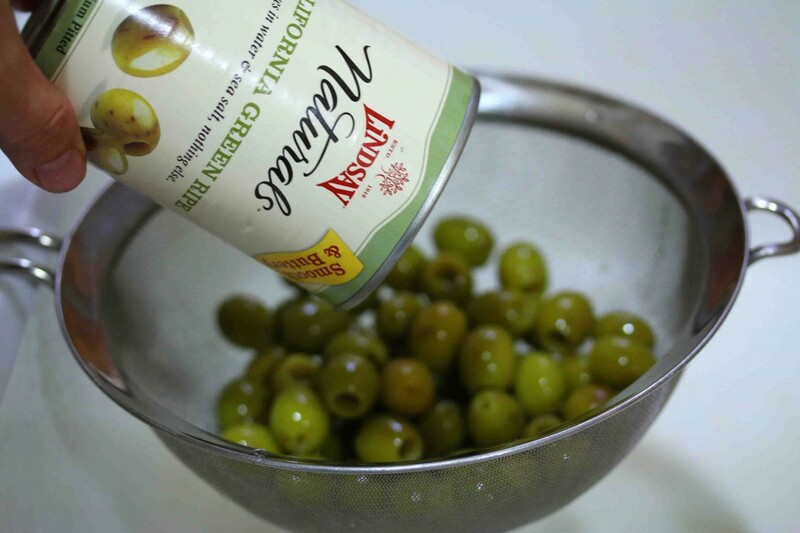 Remove from heat and add all remaining ingredients except for the olives. Let sit until the marinade has cooled down. Pour the marinade over the olives and stir to combine. Cover the olives and let them sit in the fridge for a week before eating them. The longer they sit the better they'll taste. The olives will keep in the fridge for at least a month. Give them an occasional shake. Bring to room temperature before serving. Unless you like super spicy food, be very careful how much dried red chili you add. A little goes a very long way and the spiciness only increases over time. Omit entirely if you don't like heat. Disclosure: This post is sponsored by Lindsay Olives. I was monetarily compensated but all opinions, as always, are entirely my own. I’m with your dad – olives are a must! When I’m in the mood to treat myself to something I’ll head over to my favorite deli and get a few varieties of marinated olives. For whatever reason it’s never even occurred to me to make my own. I’m feeling inspired and will be heading to the store this evening to pick up some olives and try my hand at this. Really nice post by the way, enjoyed this a lot. You’ll be so happy you tried these, Nathan! 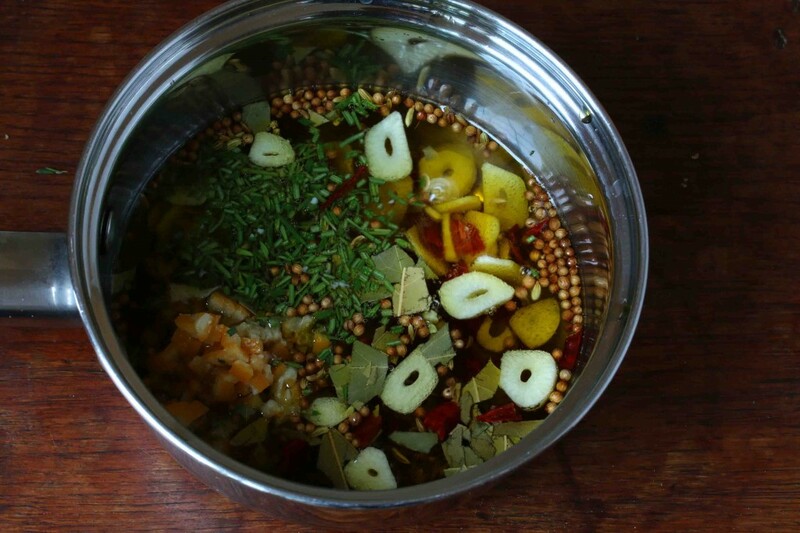 And the skies the limit with how many different flavor combinations you can try for marinades. Before long you’ll stop buying them and will be making them all yourself! Thanks so much, Cori! I know, I’d love to be given some of these as well! :) You’ll love these, enjoy! This is just gorgeous. I’ve always been intrigued by olives, they’re so beautiful. Thank you for this recipe and the accompanying recipe for preserved lemons. I’m looking forward to trying both. 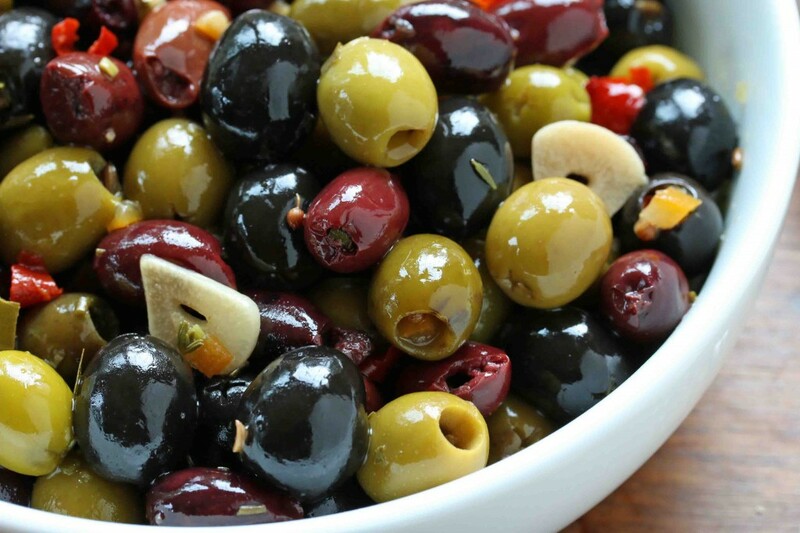 These olives look so delicious, I just wish I had a bowl in front of me right now! I love the idea of making jars of mixed olives for gifts, especially for the holidays. I love making things that are homemade for gifts, especially food items, so thanks for the great idea! Thanks, Christina! 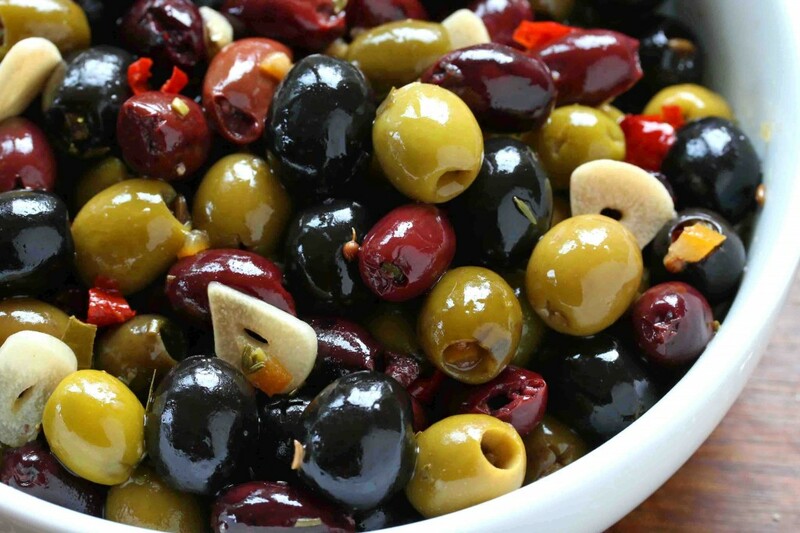 They’re fun to make and it’s so rewarding have a batch or two of different flavored marinated olives on hand to dive into when the craving hits. And yes, they make such great gifts! This looks great! As a lover of all things olive I will definitely give this a try. Ooooh, these are so beautiful! I’m definitely trying these and I LOVE the idea of little jars as gifts! this would be the best gift ever. I know, I would LOVE to receive a gift like this!! Ohhhh my… suddenly, I’m seriously craving some olives!! I am now craving olives. They are one of my go-to snacks with a little side of cheese. I like the idea of making them myself but haven’t tried. I think I am going to give it a go. Such an easy recipe! 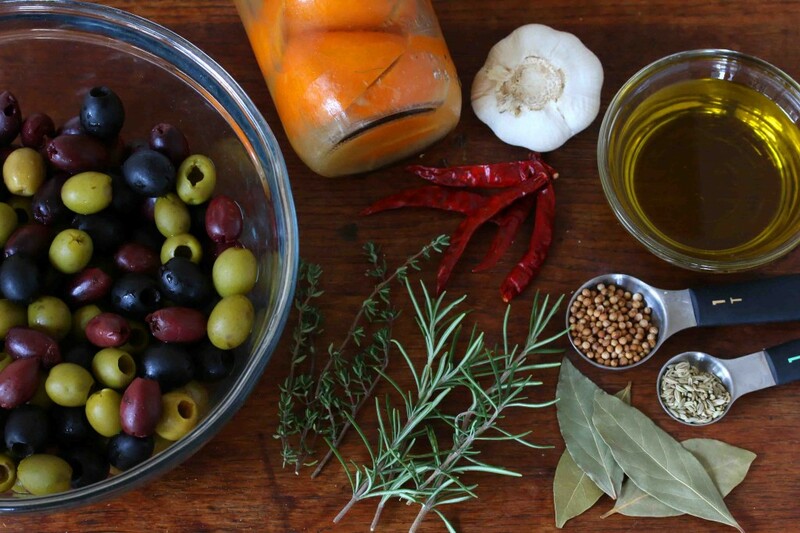 My mother is the lover of olives in my family tree, and she’s coming in a few days to visit – can’t wait to make this for her! This is the perfect welcome treat, Chrisy, I’m sure she’ll be thrilled! I always have marinated olives when I make an antipasto tray. Making your own definitely sounds like a fun project for gift giving! So do we, Terri, it’s the perfect addition! So pretty! And, love the idea of packing them in mason jars to give as gifts. Thanks, Valerie! 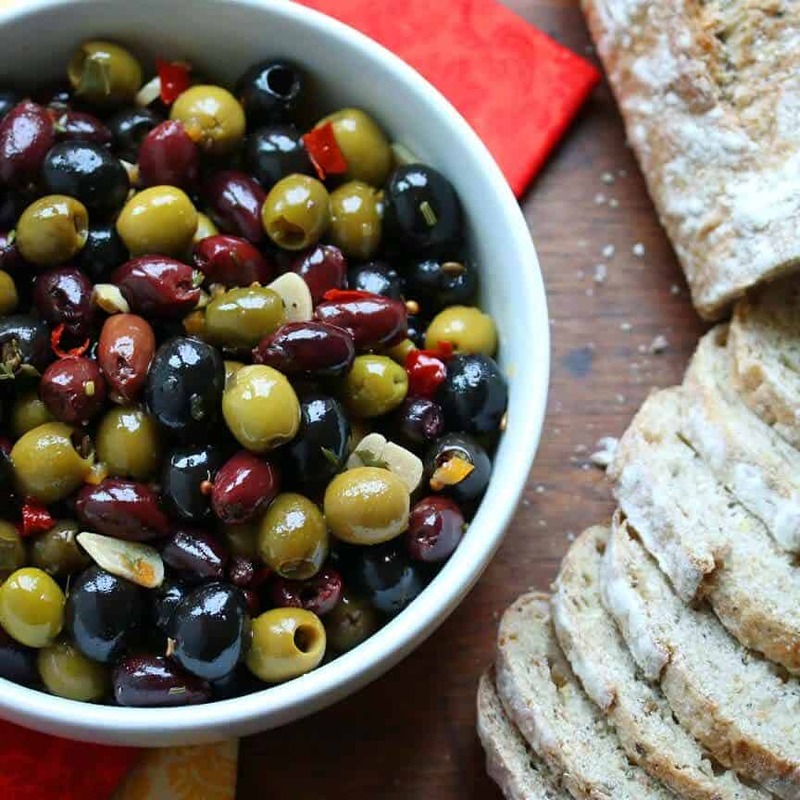 I always like to have some marinated olives on hand for entertaining and for quick gifts. What a great holiday gift idea for teachers and neighbors! Marinated olives are the best. Perfect appetizer or accompaniment to a cheese plate. So true, Paula, and the marinade flavor options are endless! What a wonderful idea. Love marinated olives. Can’t wait to make these. Thanks, Susan, you’ll love them! These would be a perfect hostess gift to take to friends during the holidays. I’m going to make several jars to have on hand just for that! Lana, that is a super great idea, thanks! I’ve never made my own but I need to! I buy them at Whole Foods all ready done and they are so expensive! Yours looks better! Brenda, I know, they’re so expensive to buy! You save a ton making your own plus it’s a lot of fun! 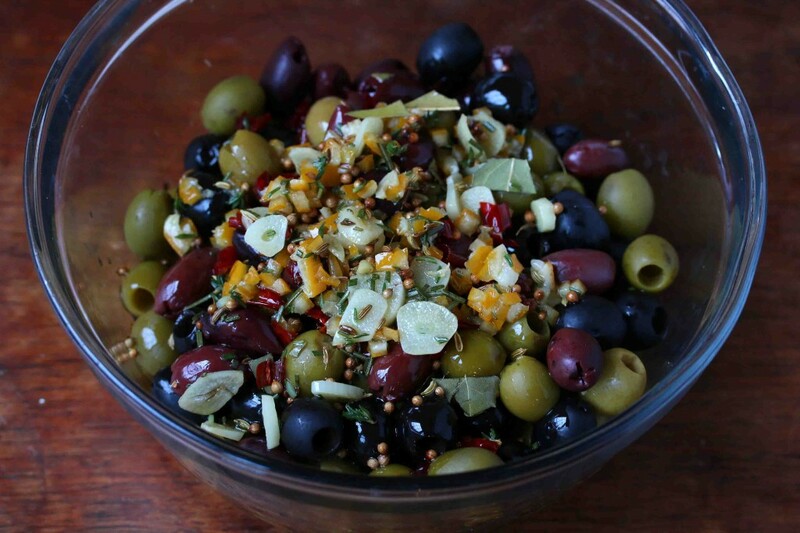 I love serving marinated olives at parties and this recipe would be perfect for the holidays. 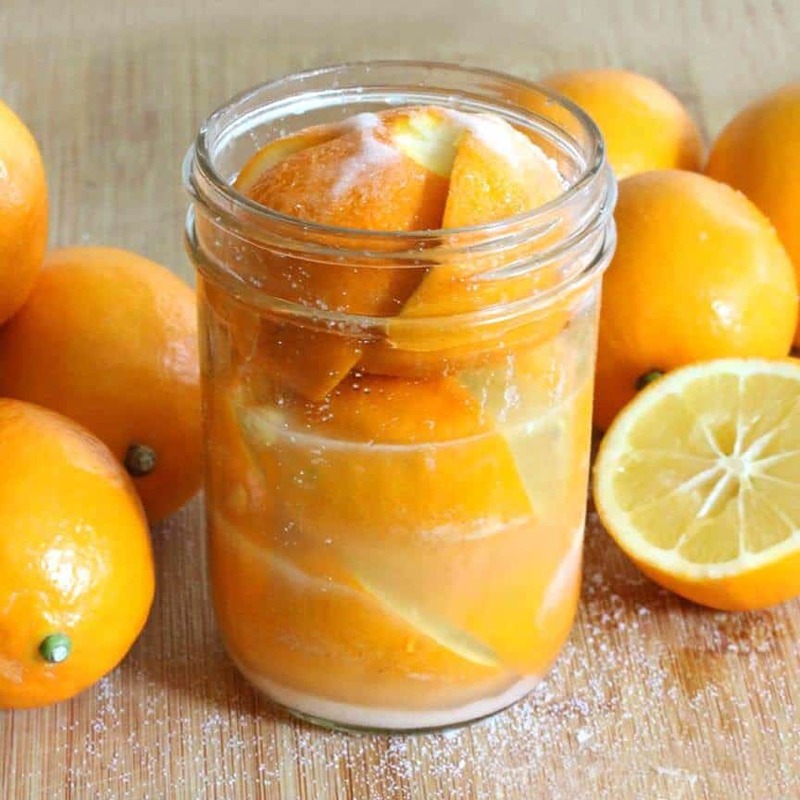 Love the preserved lemon in the recipe! The preserved lemon is amazing, Aly! Oh man, marinated olives are the BEST. I’d be thrilled to get a jar of these for Christmas! They make such great gift, Amanda! Oh wow! Now this is how to do olives. What a perfect holiday appetizer or gift!!! The sky’s limit for marinade options, Cathy, and any which way they’re so good! I love marinaded olives! They make a great party appetizer. Do you think I can make these and ship them to my family in their Christmas boxes? Hi Julie, that’s a tricky one. I guess it would depend on how quick the shipping is. But FDA guidelines are that opened marinated olives need to be stored in the fridge. I didn’t use this recipe but I would like input into suggestions for my olives. I soaked the raw olives with a cut into each for two weeks as per the recipe; brined for two months and they have now been one week in a oil/lemon juice and spice marinade. The olives are hard. Any ideas. Hi Ruth, unfortunately I don’t have any experience in working with freshly picked raw olives. Perhaps one of our readers can chime in. I don’t understand. I followed the recipe and the olives are not marinated. Just olives sitting in an oily mixture. I added more red chili peppers as the days went on just to try and get some flavor but nothing. Still taste like olives right out of the can? Any ideas? They have been marinading for 6 days already. Help. I would like to make these for a wedding. I would love to know how far in advance I can make them? Wedding is 2 1/2 months away and the sooner I can make them, the better. Thanks for your input! Hi Molly, these keep easily for a month in the fridge, so you can make them anytime within that time frame. I made this a few days ago, and they taste amazing…but my olive oil solidifies in the fridge, so I keep having to bring it to room temp to stir about once a day…is this normal or is my fridge set too cold? I just made another batch tonight, so I just thought I’d check! I’m glad you liked them, Lisa, thank you! Yes, that’s completely normal. If you were to put a bottle of olive oil in the fridge it would solidify, too. I took out some of the red pepper after tasting.